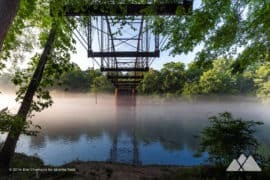 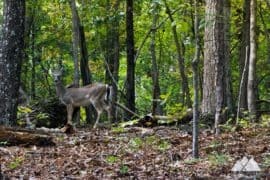 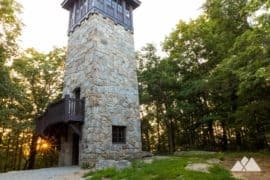 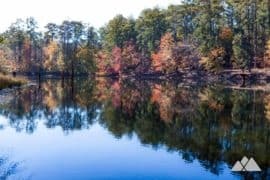 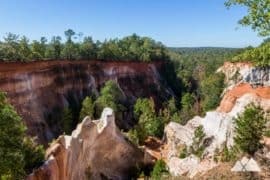 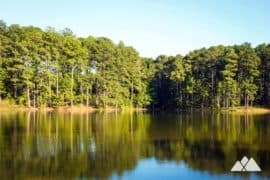 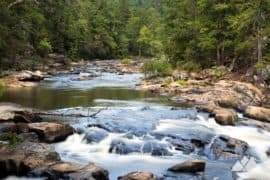 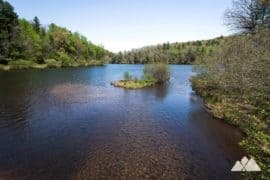 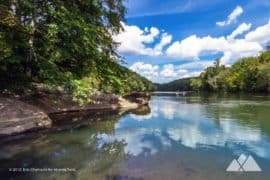 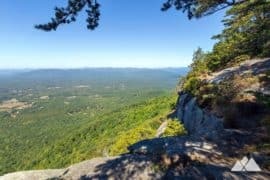 Find a great hike near Helen, Georgia! 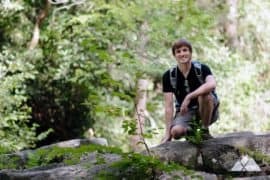 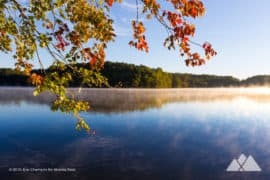 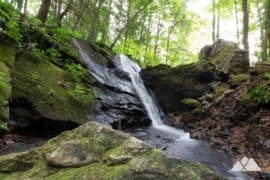 Our favorite hikes near this Bavarian alpine town explore view-packed summits on the Appalachian Trail, lush creek valleys, and tumbling waterfalls. 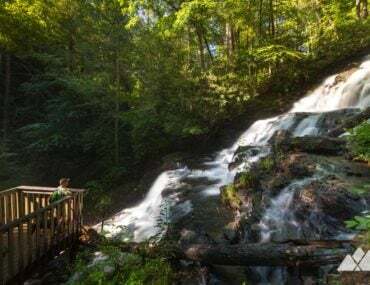 Hike the Raven Cliff Falls Trail through a waterfall-filled valley to one of Georgia’s most popular and beautiful waterfalls. 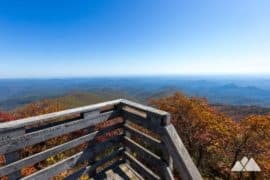 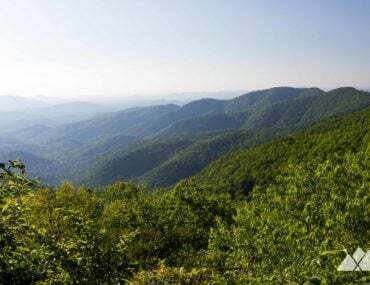 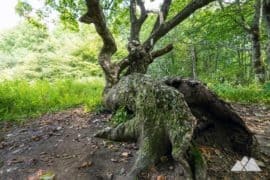 Hike the Arkaquah Trail from Brasstown Bald, Georgia’s highest summit, and descend to Track Rock Gap to view ancient Native American petroglyphs on this difficult 11-mile round trip hike. 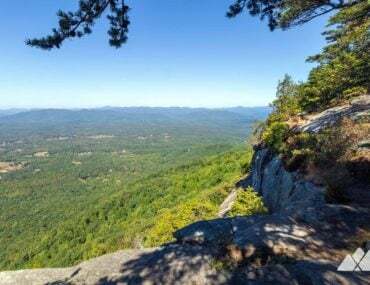 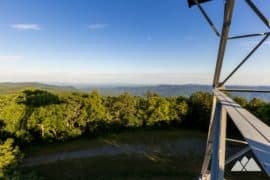 Hike the Yonah Mountain Trail through a rocky, wildflower-filled forest, climbing this iconic mountain to exceptional summit views and great backpacking campsites near Helen, Georgia. 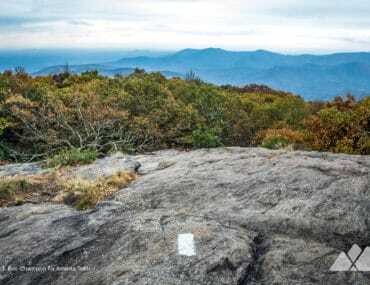 Hike to the view-packed summit of Preachers Rock on the Appalachian Trail, climbing from beautiful trailhead views at North Georgia’s Woody Gap. 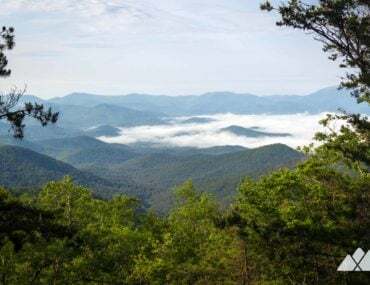 Hike to the Blood Mountain summit on the Byron Reece Trail and Appalachian Trail, catching stunning views from the AT’s highest summit in Georgia. 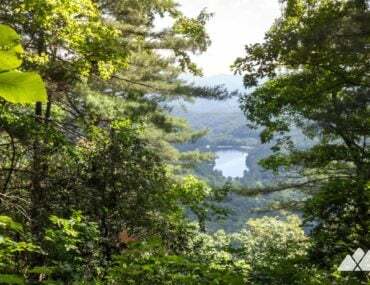 Hike the Bear Hair Gap Trail through a scenic stream-filled forest to beautiful views of Lake Trahlyta at Vogel State Park. 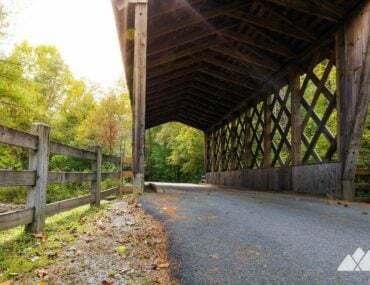 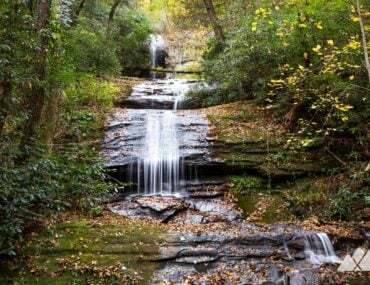 Explore Smithgall Woods State Park near Helen, hiking to tumbling waterfalls, gold mines, and the rocky, scenic creek bed of Dukes Creek. 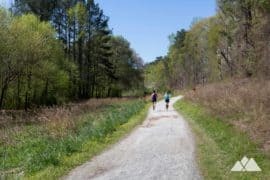 Follow our favorite hikes at the park: the Martin’s Mine Trail, Cathy Ellis Waterfall Trail, Ash Creek Trail, and the Smithgall Wetland Loop. 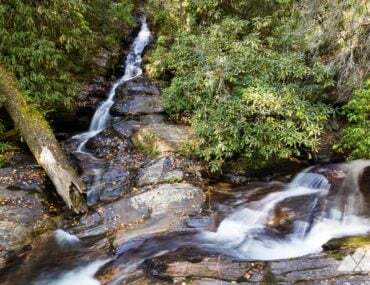 Hike the scenic Trahlyta Lake Trail at Vogel State Park, following the shore of the beautiful mountain lake to the stunning cascades of Trahlyta Falls and iconic views of Blood Mountain. 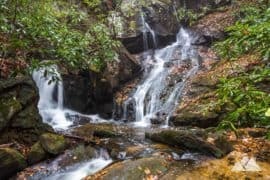 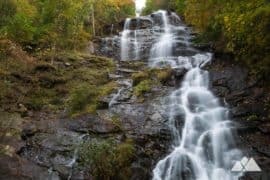 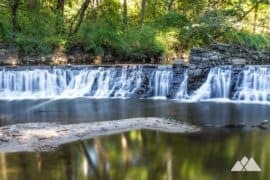 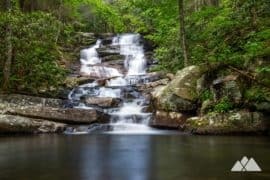 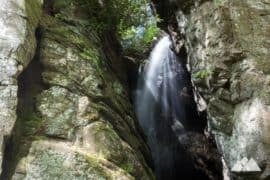 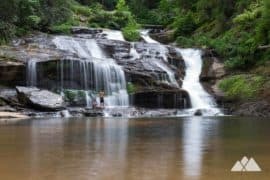 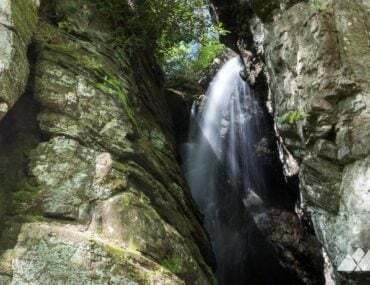 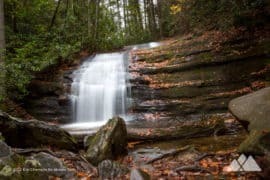 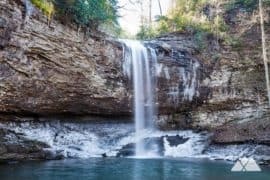 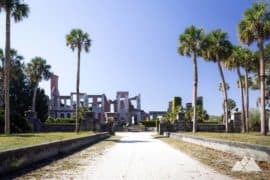 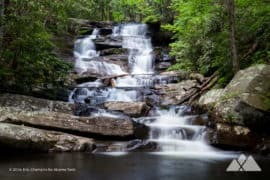 Hike the two mile Desoto Falls Trail near Helen to a pair of waterfalls where, legend holds, a piece of armor was found from DeSoto’s expedition in the mid-1500s. 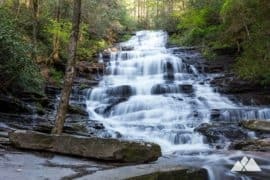 Hike to multiple waterfalls and through a lush, green forest on the moderate, kid and dog-friendly Dukes Creek Falls Trail near Helen, Georgia. 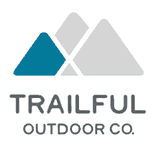 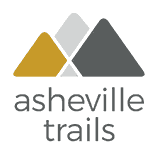 © 2009 - 2019 Trailful Outdoor Co. Made in the North Georgia Mountains.